Here is a list of top constituents that ITFirms’ considers to measure a firm’s efforts, improve business and rankings in a positive way. NYC, NEW YORK, UNITED STATES, July 2, 2018 /EINPresswire.com/ -- ITFirms.co is a globally trusted research and review firm that conducts intensive searches for IT services and offshore development companies. It has always been a trusted source for reviewing and evaluating service providers based on their expertise, experience, quality of delivery, budget parameters and adhesion to timelines, influential portfolio, post-deployment support and client satisfaction. Keeping themselves abreast with the latest technology is more important than possessing above mentioned qualities and the companies that have achieved a place in ITfirms.co ranking ensures this. With the infusion of latest methods and tricks, ITFirms tries to explore whether the companies have done projects in real time or not. How ITFirms does Rank a Mobile/Web Development Company? First thing that marks the presence of the website is its content, usability and appearance. The clarity of information and the navigability of webpages is of utmost importance. Overall, the entire style must be consistent and user friendly. It is quintessential for a company to establish its presence in market and influence people. They have to be purposeful in order to lead the market and must divert their intentions in using the influence to make their time spent communicating beneficial. 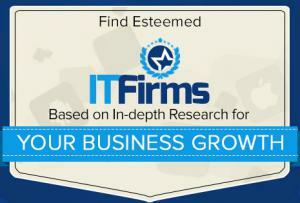 ITFirms pays special consideration to the firms who are market leaders and are consistently growing. Feedback from clients is very important in evaluating the worthiness of any firm. Current and previous clients are interviewed in detail about a range of qualitative and quantitative topics like the size of project, submission, and complexity. This will also include quality, cost, schedule and willingness to refer. • People trust reviews only if they are authentic. How impactful are the reviews from clients on Research firm’s website? What is the percentage of positive reviews and have they propelled the audience to hire the company for mobile/web development services? • Is the company portfolio comprehensive? Does it contain complete details like company profile, education and certifications, Mission statements, standards and objectives, Products and Services, Relevant images, List of Accomplishments, Professional Affiliations, Testimonials and References, Success Stories, and Contact Information? > Does the firm hold a noticeable heterogeneity of clients? > What is the area of focus and how well the firm’s experience aligns with the stated strategy? > Is the website of the firm able to depict a distinguishable image among its counterparts? Is the information provided on the website relevant, consistent, and informative? Does the firm hold sufficient examples of projects done in past? > Is the firm having sufficient case studies to show to their clients? Have they mentioned their important projects in their case studies? > Has the firm acquired reputation in their chosen sector? Are the third party media sources able to reflect this reputation for promiscuity? > Has the firm been recognized before? What all certifications it has and how many awards it has won? How many times has it been listed by research firms in their list of top rankers? > Is the company active on social media? > Mobile Application Development has two areas of focus: User Interface (UI) design and Technical/functional aspects. How companies are benefitted after having an ITFirms badge on their website? Adding an ITFirms badge can be a new way to improve ranking of the firm and can in turn help ITFirms show its merit on their platform. ITFirms provides some badges for the users. These are used to showcase the different areas in which the firms stand out as a featured member over their platform. This is a great way to promote the firm and improve the ranking of your website. These badges help in exhibiting the achievements and can be used in any section of the website. ITFirms must be informed once any firm applies their badge on its website. These badges include a link to the relevant section they wish to demonstrate. Priority is given to the firms that have published who have made use of ITFirms badge on their website and simultaneously ITFirms have interviewed their CEO. Such priority descends as there are firms that either holds an ITFirms’ Badge or their CEO interview. 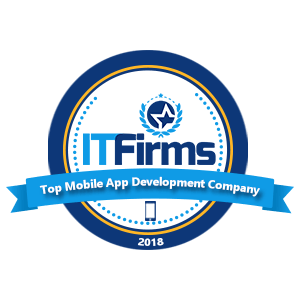 ITFirms.com is an internationally acclaimed firm that reviews IT firms independently and ascertains top most mobile and web development companies across the globe. 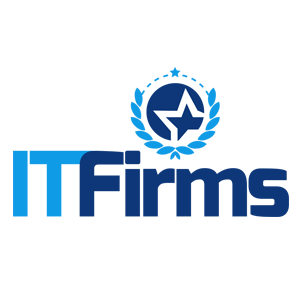 They have been pioneers in in-depth research and analysis of IT-firms, thus demonstrating the way for both buyers and professionals looking for honest advice and reviews before considering services of any software development companies.